The madness of March is here and if you're throwing a party you absolutely need to think about how to blog your guests' minds with these amazing treats and decoration ideas! Get the party feeling going from the second they receive their invitation. That's right, you can make a Facebook group if you want to be sure of numbers but sending an actual invitation will make your guests feel like they're in the third grade again. Nostalgia wins every time. You can definitely adapt your favorite drinking games to have a basketball theme, for example take a drink every time your favorite player gets the ball or the opposite team scores. Obviously only do these if you're over 21 and even then remember to be responsible! You don't want to be missing the end of the game because you're puking up somewhere! A themed party absolutely has to have themed food and drink! 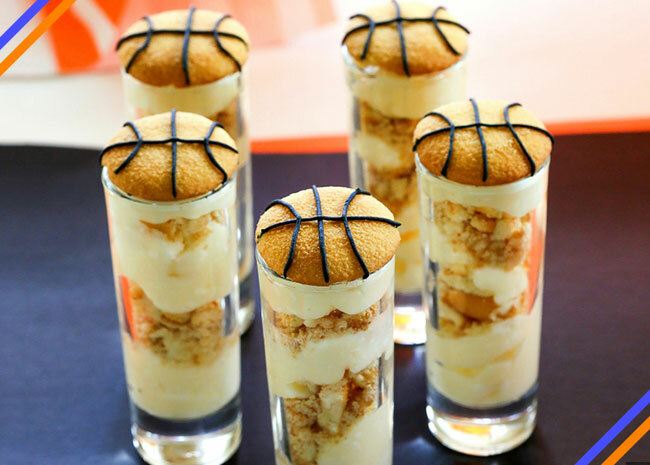 How about these Cheesecake Pudding Shooters for a real sweet hit? 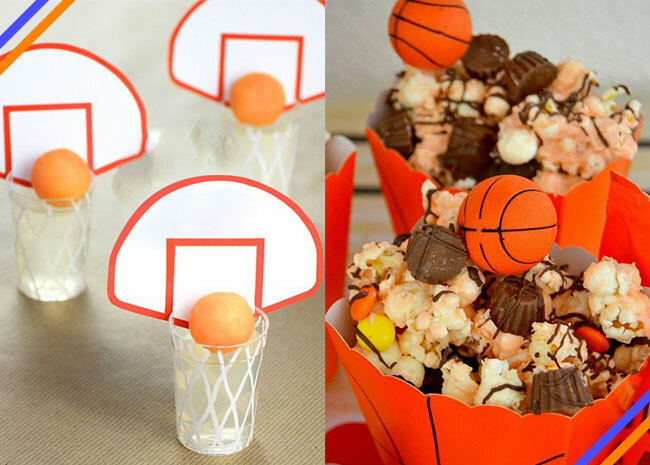 A basketbal themed party isn't complete without buckets of snacks in your team's colors! I'm a little bit obsessed with this Reese's Popcorn Snack Bucket. 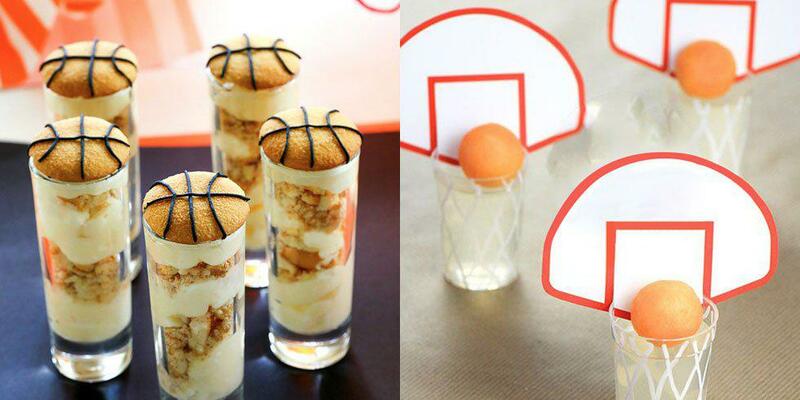 Try adding some 3 Point Shots to your drinking games to really take the March Madness theme seriously. So, your school is out of the running already? You can still watch the games and get into the spirit of March Madness! Why not organise your own tournament? This doesn't have to stop at basketball, why not cook up a load of chicken wings and have an eating contest?